Hi friends! 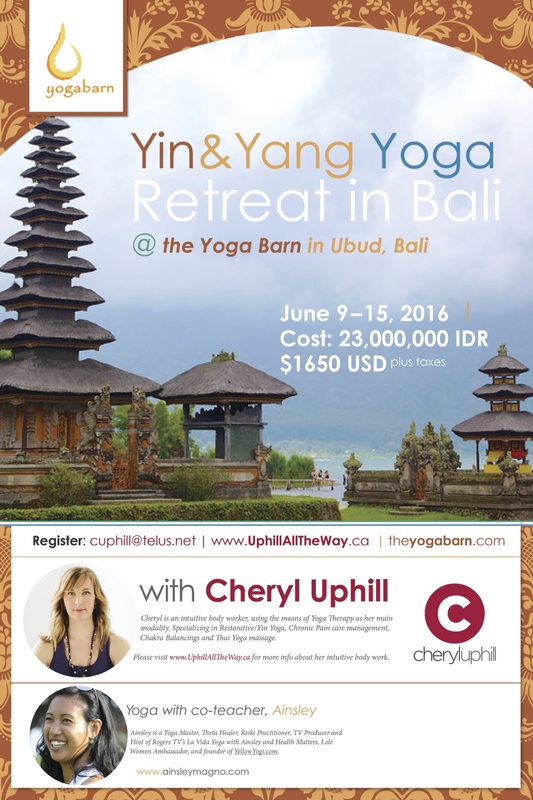 Would you be up for a 7-day yoga retreat in the beautiful Ubud, Bali at the famous Yoga Barn from June 9-15, 2016? US$500 deposit will secure your spot. 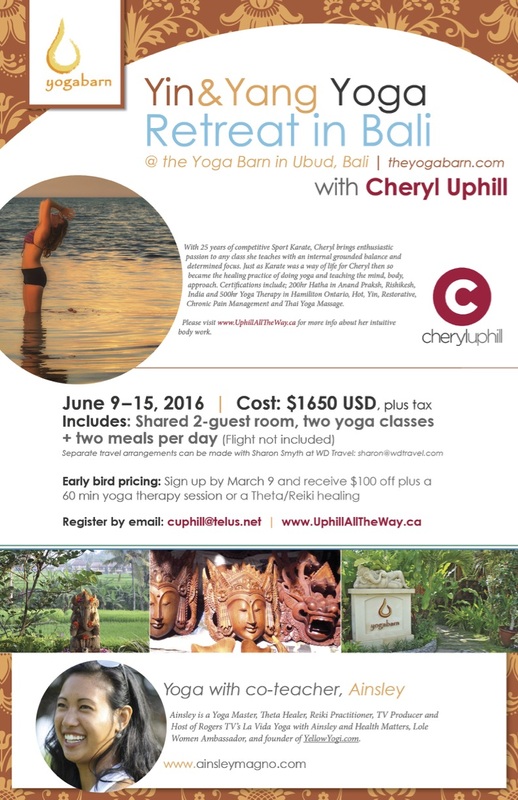 Sign up before March 9 and receive $100 off, plus a 60 min healing!